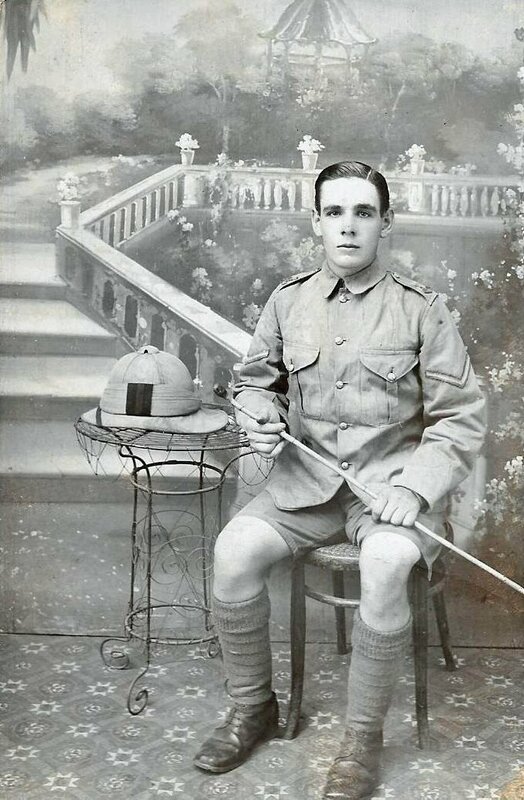 This is a photograph of Lance Corporal Alfred Edward Hobbs of Pilton. He had served in the 1st/6th Devonshire Regiment. Based in Barnstaple, the 6th Devons specifically recruited men from North Devon. The 1st/6th embarked for India in October 1914 and was reported as being stationed near Lahore. At the end of 1915 the regiment was sent to Mesopotamia and arrived in Basra (now in Iraq) in January 1916. Deolali is a small hill station in the Nashik district of the western Indian state of Maharashtra. It is a long way from Lahore in the Punjab in North West India. However, we have found reports in ‘Untold Stories of people during the First World War’ of men from the 6th Devonshire Regiment being posted to Deolali in early 1915. Many thanks to Gary Rennles for sending us this photograph.